Cincinnati homicide detective and single mother Sonora Blair puts everything on the line as she battles to find justice after a multiple-murder home invasion. At a house at the end of a cul-de-sac in the Cincinnati suburbs, widowed Police Specialist Sonora Blair and her partner, Sam Delarosa, discover the bodies of Carl Stinnet and two children. Hiding under the bed in the master bedroom is Carl's wife, Joy. The dying mother holds her unharmed infant daughter and keeps repeating the Hail Mary, claiming "the Angel" saved them. Joy's deathbed assertion that she saw two men and the Angel - along with differences in the victims' manners of death - make Sonora believe there were multiple killers. Two suspects are found and arrested, but Sonora doesn't get closure. She's sure there was a third person in that horrific crime scene, and she can't stop working the case, even after she's warned to walk away. 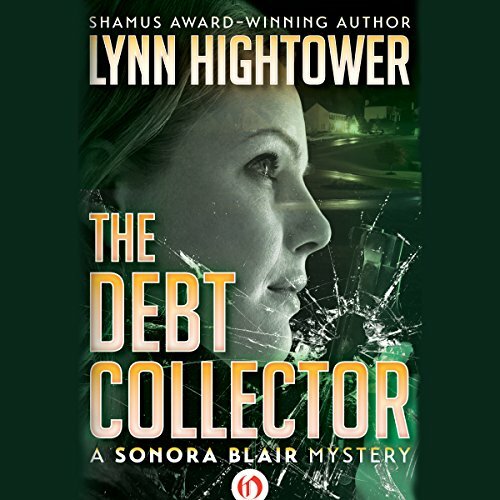 Amid concerns about her own son and daughter, and her certainty that she'll never sleep soundly again, Sonora prepares to confront a murderer who's about to collect on one last IOU. ©2000 Lynn Hightower (P)2016 Audible, Inc.